﻿Prof Tim Youngs﻿ is the Director of the Centre for Travel Writing Studies, which he founded in 2002-3. He has specialised in the field for 30 years, although he also undertakes teaching and research in many other areas of literary studies, including United States literature (especially African American writing). His most recent single-authored books include The Cambridge Introduction to Travel Writing and Beastly Journeys: Travel and Transformation at the fin de Siècle (both 2013). His The Cambridge History of Travel Writing, co-edited with Nandini Das, will appear early in 2019 and The Ashgate Research Companion to Travel Writing, co-edited with Alasdair Pettinger, later the same year. He is currently writing The Oxford Very Short Introduction to Travel Writing and a book on motorcycle travel narratives. He founded in 1997, and continues to edit, the journal Studies in Travel Writing (published four times a year by Routledge). 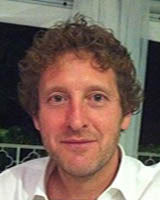 With Peter Hulme, he edits the series Routledge Research in Travel Writing. He is also a poet, much of whose work is travel-themed. His poems have appeared in several print and online magazines, including The Interpreter’s House, Magma, Poetry Salzburg Review and Stride. His debut pamphlet, Touching Distance, was published by Five Leaves in November 2017. With Sarah Jackson he co-edited the anthology In Transit: Poems of Travel, published by the Emma Press in June 2018. Further information can be found at http://timyoungs.weebly.com/. 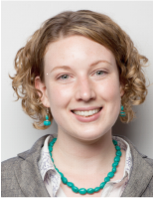 Dr Anna Ball is a Senior Lecturer in English, who teaches widely across the fields of contemporary literary studies, postcolonial studies and gender studies. Dr Ball's research is concerned with questions of gender and mobility in the contemporary bio political landscape. She works with literature, film and visual culture, and is particularly interested in Palestine and Afghanistan as emergent sites of postcolonial enquiry. Her monograph, Palestinian Literature and Film in Postcolonial Feminist Perspective, was published on the Routledge Research in Postcolonial Literatures Series in 2012. With Karim Mattar, she is co-edited The Edinburgh Companion to the Postcolonial Middle East. She is currently recipient of a Leverhulme Research Fellowship in order to work on her next monograph, Moving Women: Forced Migration which explores the potentials of gender-conscious response to advance representational discourses around forced migration. As well as being a member of CTWS, Dr Ball co-directs The Centre for Postcolonial Studies (PSCNTU) at NTU with Dr Jenni Ramone. 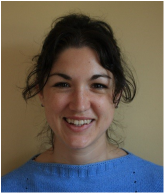 Dr Rebecca Butler is a Lecturer in English, who teaches travel writing, as well as on various modules across the long nineteenth century. Prior to this appointment, Dr Butler worked as a Research Assistant to the CTWS, supporting the Centre's research and its impact through collaborative partnerships, event platforms, and online presence. She completed her PhD thesis at the School of English Literature at Bangor University while in post. Dr Butler’s main research focus is on the intersections between gender, national identity, political advocacy and literary authority in early Victorian women’s travel writing on Italy. She is currently writing the monograph Revisiting Italy: British Women’s Travel Writing and the Risorgimento, 1844-1861, based on her doctoral research. Her chapter, ‘Martyrdom or Militancy? Florence Nightingale's Pi[o]us Pilgrimage, Rome (1847-1848)’, which forms part of this research, was published in Women Rewriting Boundaries: Victorian Women Travellers, ed. by Precious McKenzie (Cambridge: Cambridge Scholars, 2016). Much of Dr Butler’s research focuses on the print cultures surrounding nineteenth-century touristic developments. She recently co-edited the Yearbook of English Studies (2018) on ‘Writing in The Reign of King William IV (r. 1830-1837)’, with Dr Maureen McCue and Dr Anne-Marie Millim, which places a strong emphasis on the material cultures of travel in the 1830s, and contributed a chapter on the evolution of the guidebook: ‘“Can any one fancy travellers without Murray’s universal red books”? Mariana Starke, John Murray, and 1830s’ Guidebook Culture’. She is currently working on a chapter on ‘Writing Tourism’ for the forthcoming Oxford Handbook of Tourism History, ed. by Kevin James and Eric Zuelow. Dr Neil Chambers (Research Fellow) is the Executive Director of the Sir Joseph Banks Archive Project. The project focuses on the work of the naturalist Joseph Banks, who accompanied James Cook on his historic Endeavour mission into the Pacific. Dr Chambers is responsible for its fundraising and has over the years held external grants from some 70 bodies amounting in total to ¾ of a million pounds. Dr Chambers also oversees editorial work on the Banks correspondence including, most recently, The Indian and Pacific Correspondence of Sir Joseph Banks, 1768–1820, 8 vols (Pickering & Chatto, 2008-2013). He is currently preparing a new set of volumes on the African Correspondence of Sir Joseph Banks for publication. In 2014, he curated an exhibition of the Endeavour voyage collections held at The Collection (Lincoln Museum) through the assistance of a large Heritage Lottery Fund grant. The exhibition was opened by Sir David Attenborough and received a record number of visitors for this venue. Dr Chambers has published in May of this year Endeavouring Banks: an illustrated essay and catalogue volume based on the exhibition, with contributions from a number of leading world experts as well as a foreword by Sir David. Sir David Attenborough has recently discussed the Endeavour exhibition and related catalogue in an article published in The Telegraph. Dr Chambers’ broader research interests include the Royal Navy, particularly the expeditions of James Cook, William Bligh and Matthew Flinders, as well as museum collecting. He has organized conferences and given keynote addresses at the National Maritime Museum, Lincoln University, The Collection (Lincoln), and the Sir Joseph Banks Society, among other venues and is a Fellow of the Royal Geographical Society, the Royal Society of Arts and Manufactures and the Linnean Society of London. Dr Chambers regularly assists students and international scholars in various disciplines on work relating to late eighteenth and early nineteenth-century travel, science and empire. Dr Joanne Dixon is current Research Assistant in Critical Poetics at Nottingham Trent University. Her creative-critical PhD thesis explored epiphany in the poetry of Kathleen Jamie, Alice Oswald, Liz Berry and her own body of work. In April 2016, ‘Skegness Wake’ was commended in the Writing East Midlands poetry competition and other poems have appeared in a range of poetry publications, including New Walk, The Interpreter's House, Furies: A Poetry Anthology of Women Warriors (For Books’ Sake), In Transit: Poems of Travel (The Emma Press, 2018) and South Bank Poetry (forthcoming). Her debut poetry pamphlet, A Woman in the Queue, was published by Melos Press in 2016. In 2018, she was shortlisted for The Poetry Business International Book & Pamphlet Competition. She has worked on poetry projects with Bilborough Sixth Form College, Nottingham Contemporary Art Gallery and St. Ann’s Allotments. During her time at St. Ann’s Allotments she worked with Nature in Mind, a charity for adults with mental health needs, supported by Framework Housing Association. Dr Sarah Jackson specialises in contemporary literature and theory, and is interested in the intersections between creative and critical writing, and the implications of this for travel writing studies. Her poetry collection, Pelt (Bloodaxe, 2012), won the Seamus Heaney Prize and was longlisted for the Guardian First Book Award, and her monograph, Tactile Poetics: Touch and Contemporary Writing (Edinburgh University Press, 2015), provides a new critical perspective on the relationship between text and tact in 20th and 21st-century literature and theory. Her chapter on the significance of touch in travel writing is forthcoming in the Ashgate Research Companion to Travel Writing (2017). Further information about her publications can be found at www.sarahjacksonbluebox.com. Dr Jackson is particularly interested in the representation of travel in the work of Jacques Derrida and Hélène Cixous, and welcomes research proposals from prospective students working in this area. ​Dr Ryan Nutting is the Research Assistant in the Centre for Travel Writing Studies and assists the Centre in designing programming and measuring impact through collaborative partnerships. Ryan recently received his PhD in Museum Studies from the University of Leicester for his thesis which focused on Frederick Horniman and his collecting and display of miniature ethnographic models in the 1890s. Ryan also possesses over fifteen years of experience working in museums and archives in the United States and United Kingdom. Ryan is interested in the intersection of travel writing, tourist art, collecting objects, and museums. Dr Sharon Ouditt is a Reader in English, with specialist interests in travel writing, British writers’ constructions of Italy, and gender and writing in the 20th and 21st centuries. She is currently working on a scholarly edition of Evelyn Waugh’s travelogue, Labels (1930), for the Collected Works of Evelyn Waugh (Oxford University Press). Her monograph, Impressions of Southern Italy: British Travel Writing from Henry Swinburne to Norman Douglas (2013), was recently published by Routledge as part of the Research in Travel Writing series. She has also guest-co-edited a special edition of Studies in Travel Writing, entitled ‘Travel Writing and Italy’ with Loredana Polezzi. Dr Ouditt is the Treasurer of the International Society for Travel Writing. Dr Andrew Taylor is a Lecturer in English and Creative Writing, with specialist interests in experimental poetry; so-called ‘linguistically innovative’ poetry, the Beat Generation and the Welsh poet, Peter Finch. His current research concerns the work and practice of the Liverpool poet and artist Adrian Henri, following on from his PhD thesis, “A Poetry of Place, the Flâneur and Adrian Henri” (Lancaster University). The poetics of place and travel also influence Dr Taylor’s own poetry. Robert Sheppard describes his debut collection, Radio Mast Horizon (Shearsman Books, 2013), as being ‘firmly located in terms of time and space (and often place)’, while Cliff Yates similarly concludes that it ‘travels well’, recommending that it be read ‘on the train, in a hotel room, at the bus stop sheltering from the rain’. Dr Taylor recently co-edited In the Company of Ghosts, the Poetics of the Motorway (Erbacce, 2012) with artist Edward Chell, which brings together the responses of artists, poets, writers and thinkers to the motorway, its effect on the landscape and our perception thereof. Further information about his publications can be found at http://www.andrewtaylorpoetry.com/. Prof Andrew Thacker specialises in all areas of modernism and modernist culture, with a particular emphasis upon institutions of modernism such as magazines and bookshops. He has published several books and articles which explore the poetics of place and travel in modernism including, Moving Through Modernity: Space and Geography in Modernism (Manchester UP, 2003) and Geographies of Modernism (Routledge, 2005). He is currently working on a monograph on Modernism, Space, and the City for Edinburgh University Press and a new series of volumes on global modernist magazines, among other projects. 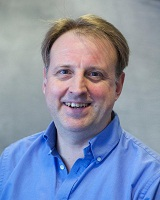 Dr Carl Thompson is a former member of CTWS, now at the University of Surrey. He is interested in travel writing and travel theory across all periods of English literature, with specialisms in Romantic literature, shipwreck narratives, eighteenth and nineteenth-century women travellers and the relationship between literature and science. Dr Thompson has published monographs on Travel Writing (Routledge, 2011) and The Suffering Traveller and the Romantic Imagination (OUP, 2007), as well as an edited collection on Shipwreck in Art and Literature: Images and Interpretations from Antiquity to the Present Day (Routledge, 2013) and a new edition of Sarah Wilson’s The Fruits of Enterprize for the Pickering and Chatto series on Women's Travel Writings in North Africa and the Middle East (2014). Most recently he has edited The Routledge Companion to Travel Writing (2015). 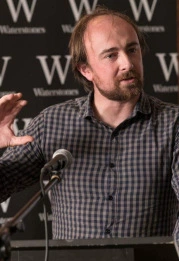 Dr Rory Waterman is a Senior Lecturer in English and Creative Writing, specialising in modern and contemporary literature, with a primary focus on poetry. 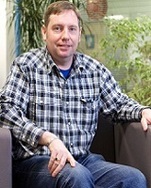 He also leads the highly successful MA Creative Writing at NTU. Much of his recent research has centred on belonging and estrangement in late twentieth-century British poetry, and his critical work includes the books Belonging and Estrangement in the Poetry of Philip Larkin, R. S. Thomas and Charles Causley (Routledge, 2014), Poets of the Second World War (Northcote House, 2016), and W.H. Davies, The True Traveller: A Reader (Fyfield/Carcanet, 2016), an edited and glossed collection of the autobiographical writing and poetry of so-called “tramp-poet” W.H. Davies. These themes are also present in his poetry. Commending Dr Waterman's most recent pamphlet, Brexit Day on the Balmoral Estate (Rack, 2017) in the Manchester Review, Ian Pople explains that, ‘Like a lot of travel writing – and travel poetry, in particular – the poems are journeys around the self as much as they are around the landscape’. 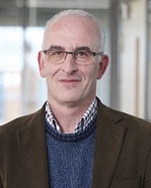 Dr Waterman also writes regular criticism for the TLS and other publications, and co-edits the pamphlet publisher New Walk Editions; this grew out of the international literary journal New Walk, which he founded in 2010. His debut poetry collection, Tonight the Summer's Over (Carcanet, 2013), is a Poetry Book Society Recommendation and was shortlisted for the Seamus Heaney Prize 2014. His second is Sarajevo Roses (Carcanet, 2017).